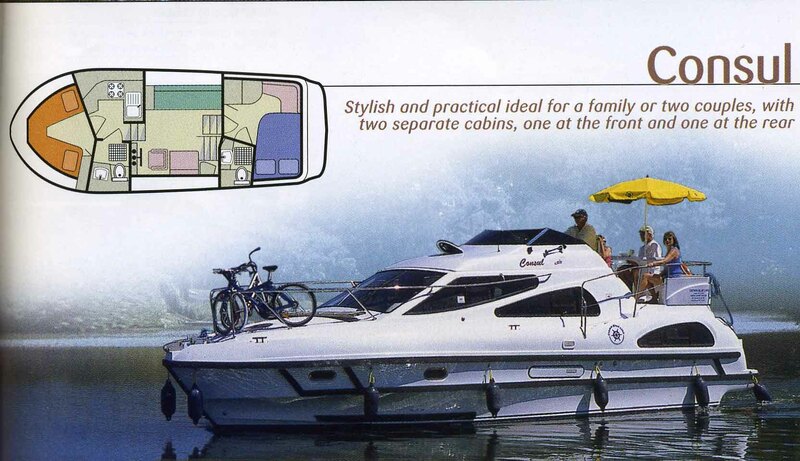 Our boat "Consul" is ideal for a family or two couples. There are two separate cabins - one at the front and one at the rear. Size of the cabins: 10.33 x 3,37 m (34 x 11 ft). A fine sun deck with second steering position and seats.